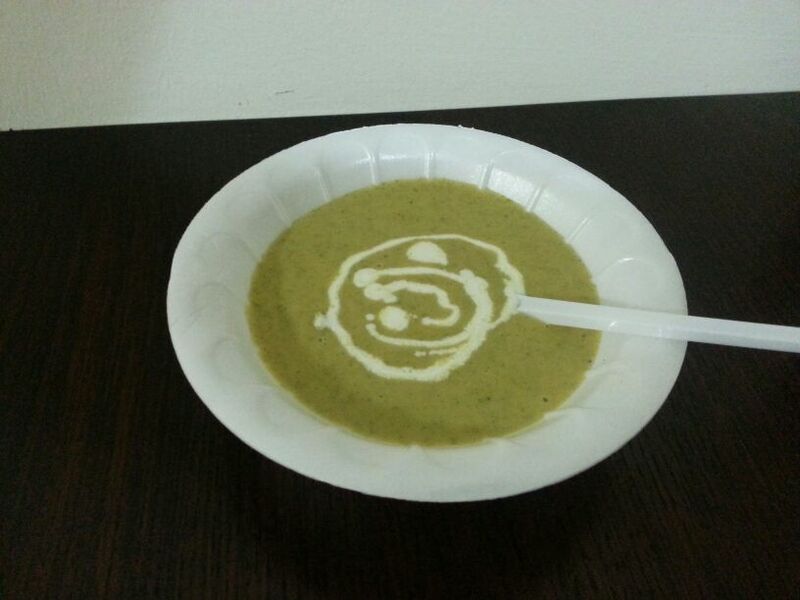 I made broccoli soup for iftar today and I loved it. My husband just had a few spoons. He loved the taste but did not like the consistency. It is a thick, creamy, rich and filling soup. So anyone who prefers or likes such soups will love this one. I will make it again but probably just for myself. Broccoli - 500gms cut the florets and discard the thick stump. 1. In a saucepan boil water. Add the broccoli florets to the boiling water and drain the water after a minute. Keep the drained florets aside. 2. Melt butter in a saucepan and add the onions and crushed garlic. 3. Saute until onions turn translucent and fragrant. 4. Add the broccoli and the chopped carrots. 5. Add salt and pepper and stir for a minute. 6. Add the flour and stir for a minute. 7. Add the stock or water and bring to a boil. 8. Lower the flame and allow it to simmer for 15 minuted stirring once or twice. 9. Add the cream and turn off the flame after a minute. 10. Blend it to a smooth purée. 11. Adjust salt and pepper. 12. Return it to the stove and warm it. Recipe from www.foodnetwork.com with few changes.